Description Image shows the 18th ward chapel with a wall around it. 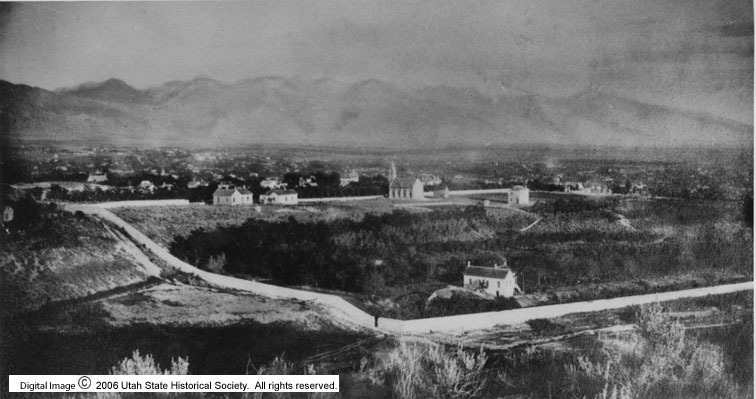 The wall was built to surround Brigham Young's estate. It stretched from around South Temple on the south end to somewhere up City Creek Canyon on the north end. Some remnants of the wall can still be seen in a parking lot on 1st Avenue, east of State Street. Comment This chapel was later moved and remodeled and is now known as the White Chapel, across the street from the Utah State Capitol.